Credits: This Blog is published on realpeoplerealfood.blog (Click here to visit) blog by Stephanie Hastlings. We are delighted to share what Stephanie Hastings feels about us. It’s time to take your mouth on a tour with the king of cuisines! We all know that Indian food is categorically delicious but today a genius chef has given me a fresh perspective on this fare – mouth-wateringly tasty, exciting, exotic and healthy too! Never have I met someone so excited to discuss food (WIN!). Introducing the culinary expert, Chef Santosh Thomas and 3 Leaves Restaurant. 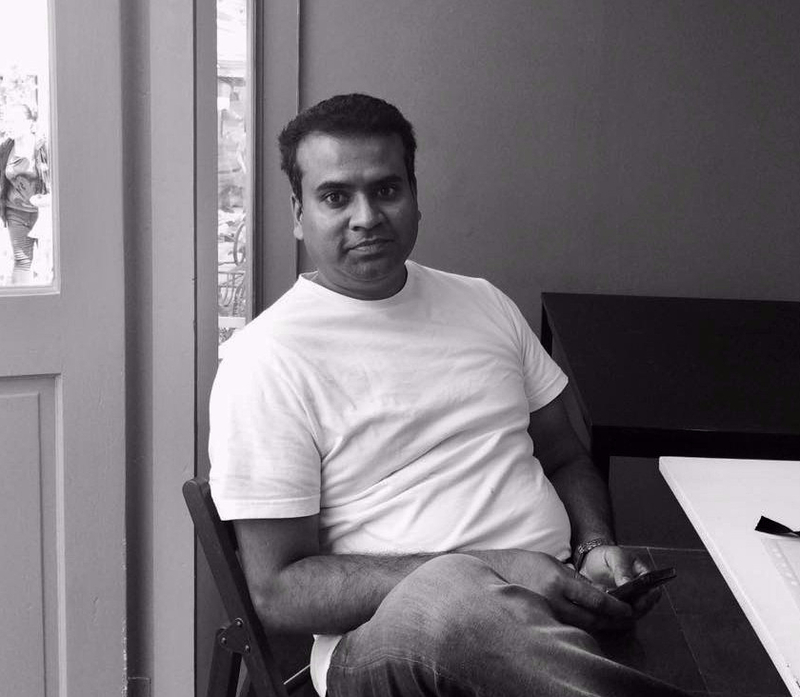 Meet Chef Santosh Thomas, born in Southern India and studied in the North. After University, Santosh tried his hand at hotel management with the Taj Group and travelled throughout India’s numerous states enhancing his understanding of their diverse food culture. Every state, city and home has its own recipe for a dish and so “A dish can be made a hundred different ways”. Ten years ago, Santosh and his wife Millie moved to Ireland (thank God for that!!) and learnt all about the restaurant business through experience in some of Dublin’s well-known restaurants. His curiosity and passion for flavours and his belief that Irish people needed to try real Indian food, food from his daily life, are what led him to set up his dream restaurant in Blackrock – [Insert whoop of delight here]. “The most important thing about being a cook is having a good palate!” And that ladies and gentleman, that he really does! The passion and enthusiasm is palpable as Santosh describes his dishes. He mentions that we are made of 5 elements (earth, water, fire, air and space) and that there needs to be a balance of these in his food. Indian food is multi-cultural due to colonisation (think Punjabi, Bengali, Rajasthani, Goan, Gujarati, Maharshtrain) so there needs to be a variety of fresh spices and flavours that represent them. You need to work on your flavours and keep experimenting and tasting because in traditional Indian cooking, every spice has a role and every dish is made from scratch. In one year you learn what you and your customers like. You can build a trust with them. “The most important lesson is to always remember why people started loving you”. Top tip: Do your taste buds a flavour and taste EVERYTHING! The 3 Leaves Menu changes on the daily because of seasonal ingredients as well as the climate! “If it’s freezing out there – then we need pepper, lime and lemon for anti-oxidants and also protection from the cold.” This thought process seriously makes sense! We opted for the tasting menu (Thali) and I can safely say that I experienced a revelation! Black pepper beef – incredibly tender and juicy beef slow cooked for 8 hours in a rich and spicy sauce. Aromatic fragrant spices and meat that melts in your mouth, makes you want to mop up your plate! Coconut and mango chicken – if you’re drooling that’s completely acceptable, I was too. Perfectly sweet with a bit of heat! Chana Masala – Enticingly creamy and slightly tangy chickpea curry that’s pleases the vegetarian and non-vegetarian palate. Did you know that no other cuisine in the world includes as many healthy and diverse vegetables and spice? DIG IN! Crispy vegetables – there’s something about the smell of crispy onions that makes my mouth water! Biryani – Saffron- scented carrot and spinach rice – Chef Santosh dehydrates the vegetables and grounds them daily to create this deliciously aromatic masterpiece. There are no Anglicised versions or Western knock-offs here, you are getting the real deal! For vegetarians and non-vegetarians alike, the dishes are a kaleidoscope of colours, vibrancy and health used in the the right combination to make your heart resonate with joy! “It’s the feeling you get when you see the happiness on their face”. In the meantime take a quick visit to India! 3 Leaves are open Tuesday, Wednesday, Friday: 12pm-3pm, Thursday 6pm-10.30pm, Saturday and Sunday 12pm–5pm. Top tip: Get there quick, today they were sold out in 20 minutes! India is called the Land of Spices. No other country produces as many variety of spices as this country! 40% of the Indian population is vegetarian – vegetable lovers rejoice! Pepper is called the King of spices because it goes well with everything! Thank you, Stephanie. We appreciate you.